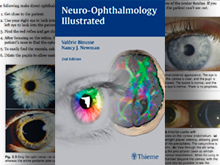 Neuro-ophthalmology is the “overlap” specialty between ophthalmology and neurology. It covers all the disorders which may affect those parts of the brain devoted to vision. Neuro-ophthalmologists specialize in caring for patients with visual disturbances due to neurologic problems and diseases or injuries to the optic nerve and structures responsible for eye movement and pupillary function. Neuro-ophthalmologists treat individuals who have vision and eye movement problems resulting from numerous neurologic disorders such as stroke, multiple sclerosis, trauma, or tumor. Emory Eye Center neuro-ophthalmology works closely with the Emory Brain Health Research Center, the Emory Neurological Surgery Department, and the Emory Pituitary Center. With four full-time faculty, Emory Eye Center’s neuro-ophthalmology program is one of the largest in the U.S. and is led by physicians with national and international reputations for clinical care and research. The program is also a center of excellence for teaching residents and fellows about all clinical and research aspects of neuro-ophthalmology. Our neuro-ophthalmologists see patients at the Emory Clinic Clifton Road campus, Emory University Hospital Midtown, Emory St. Joseph’s Hospital, and Grady Memorial Hospital. For more information and to schedule appointments visit: Contacts/Appointments.